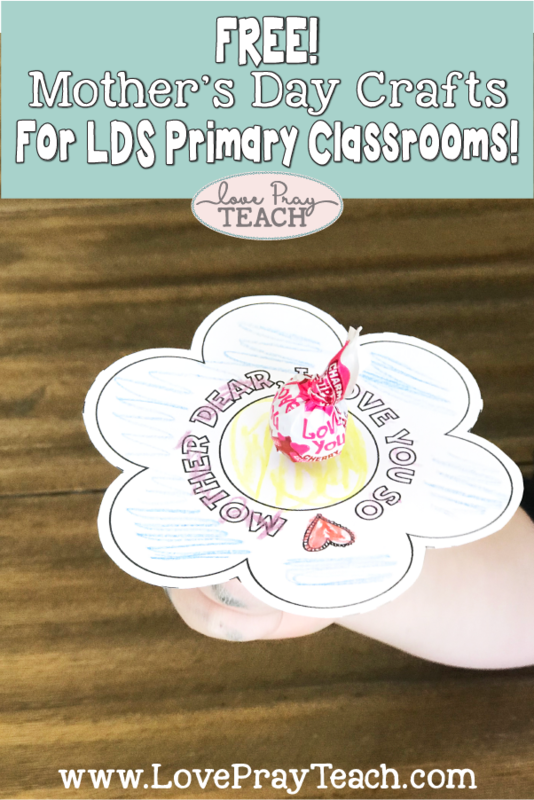 You are here: Home » Blog » Mother's Day Crafts for the LDS Primary Classrooms! Madison designed these cards for the CTR classroom! There is a boy and girl version to choose from. 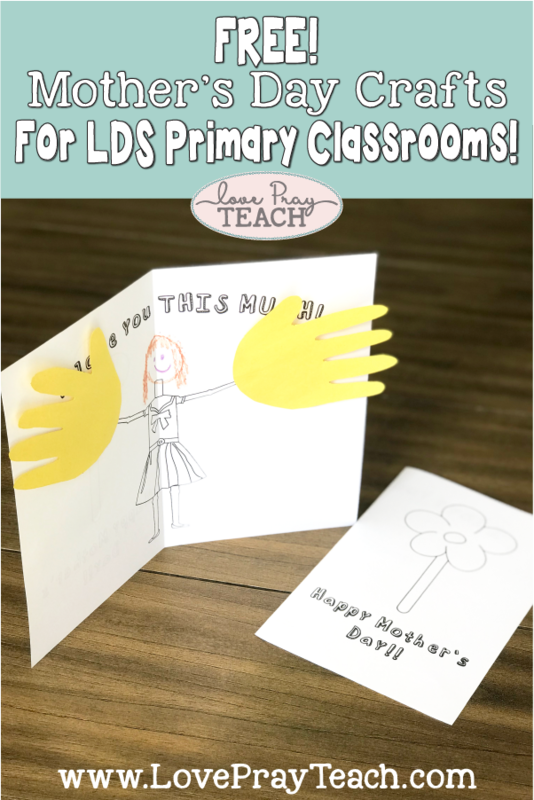 To make, print the cards front to back and have them folded before class. Bring construction paper, scissors, glue, and crayons to class. Trace each child's hands and help them cut them out. Glue them to the ends of the arms. If you have photos of each child, you could cut out their heads and glue to the page, or you can let the children color themselves like the photo above! Let the children finish coloring their cards. Mother's LOVE receiving handprint gifts from their children! Stefanie designed the cutest questionnaires that would work perfect for the Valiant classrooms! Just bring crayons or colored pencils and let the children fill in their answers! 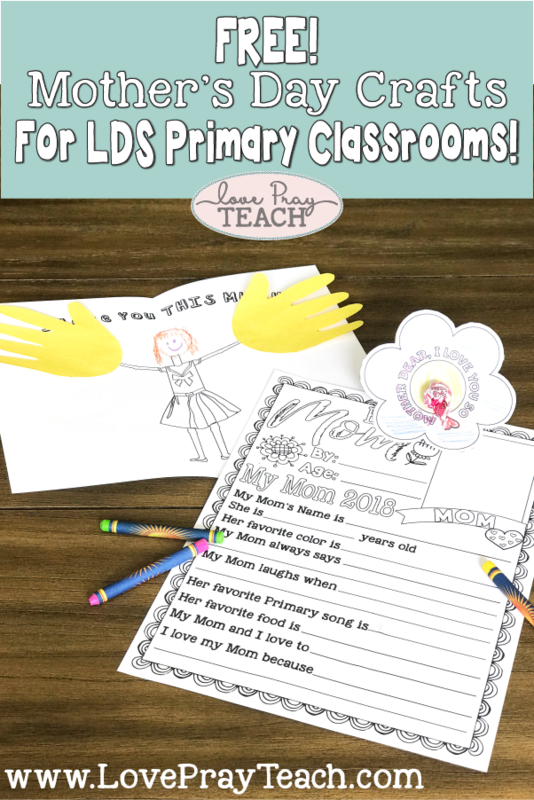 Encourage them to draw a picture of their mom in the box at the top of the page. Mother's love seeing what their children think of them! 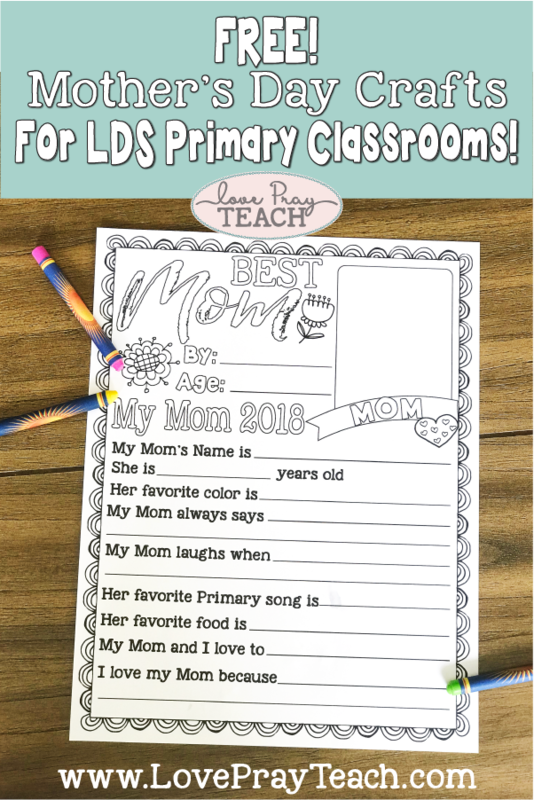 For the older Valiant classes, you could also have the children write a letter on the back of their page to tell their moms what they love about them. Give the children envelopes to put their papers in for a finishing touch!